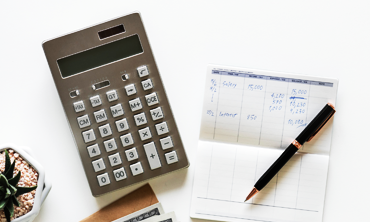 Financial management has always been very crucial at all stages of life. 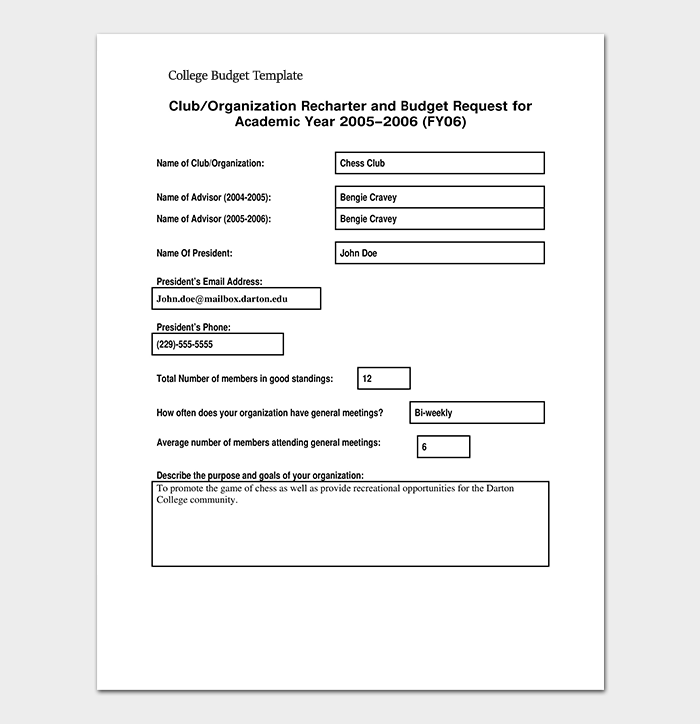 Let’s take the most common situation when juniors arrange a farewell party for their outgoing batch and needed to manage the expenses. 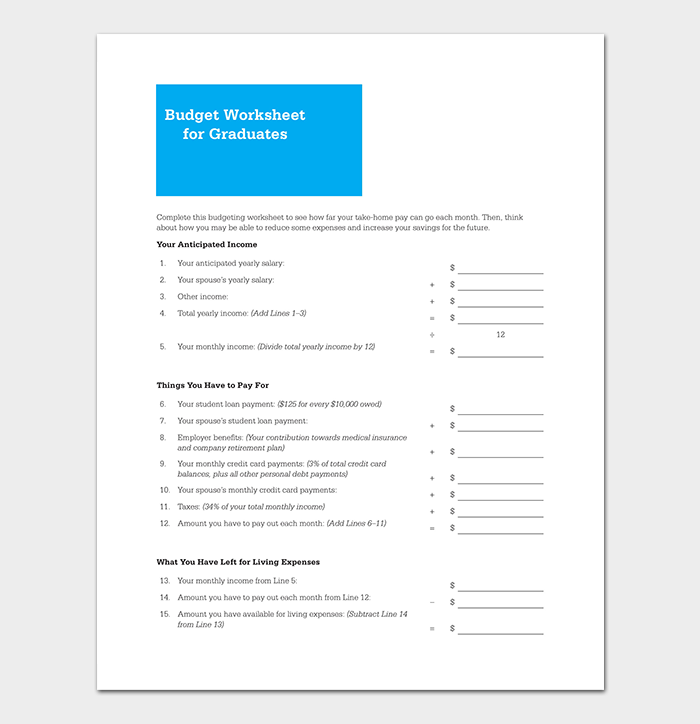 The first task is to decide the budget of the whole event. 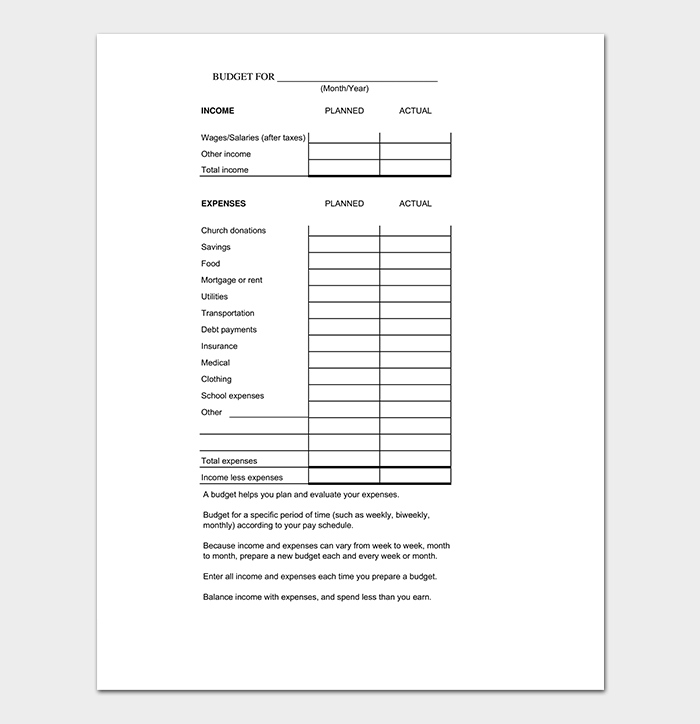 Then decide the flow of events and allot budget for each category of expense to be made. 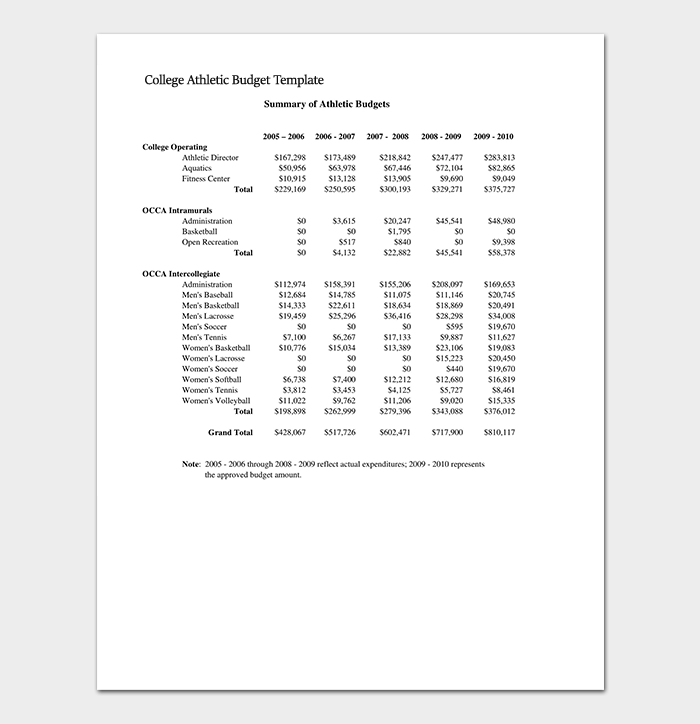 A College Budget template can help channelize the right percentage of budget being diverted to each expense head, optimizing the outcome. 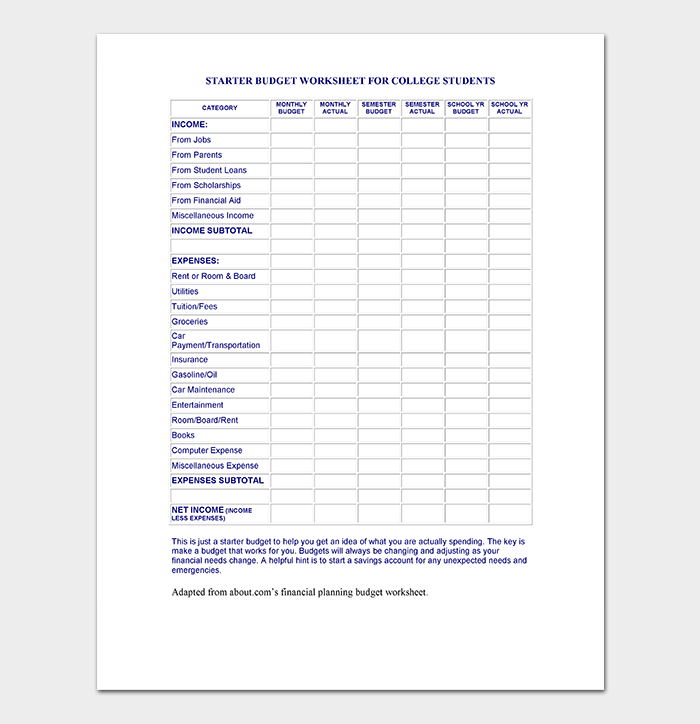 College budget worksheet in PDF captures all the expenses and income of the students during the college time, in a PDF format for ease of accessibility. 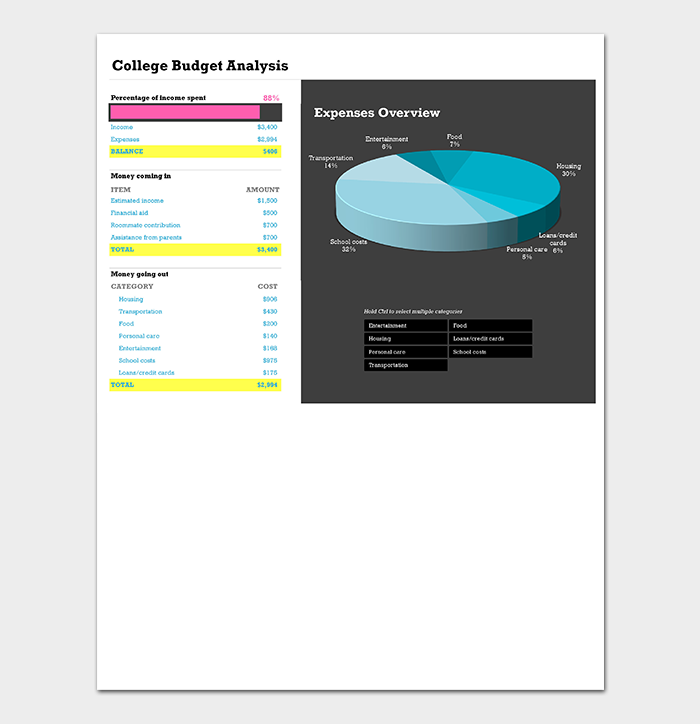 Once the expenses and income numbers are added, it tracks all the amount spent during college time. 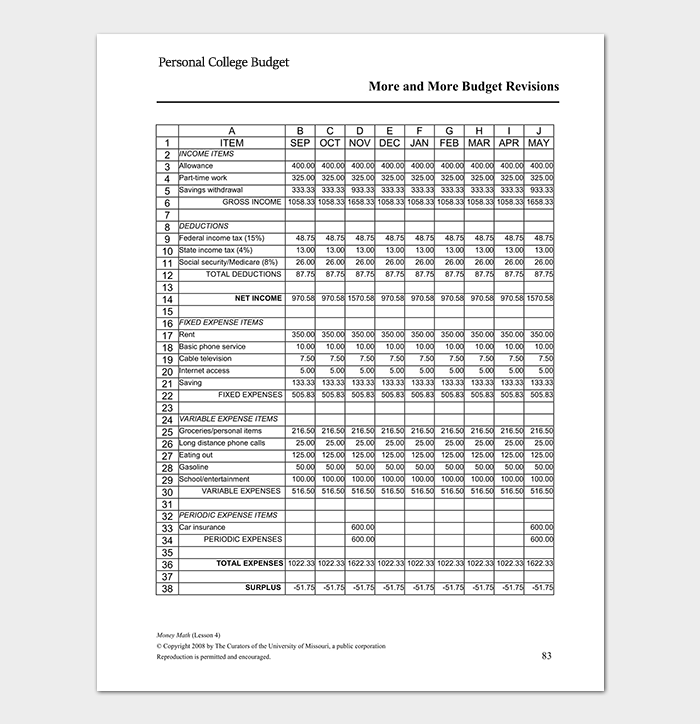 It also helps to understand the total budget spent in the particular college for the particular course helping others decide while selecting such college. 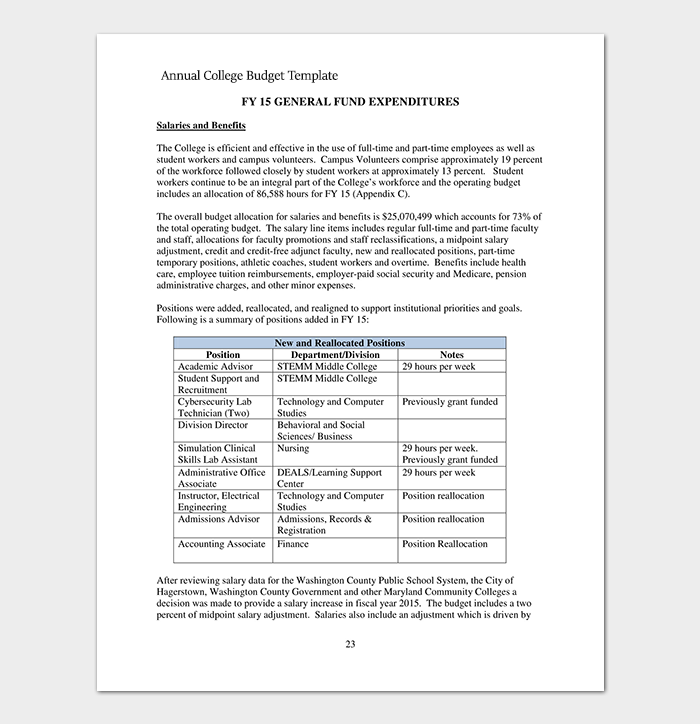 College budget template for excel is a summary of all expenses made and income during college time. 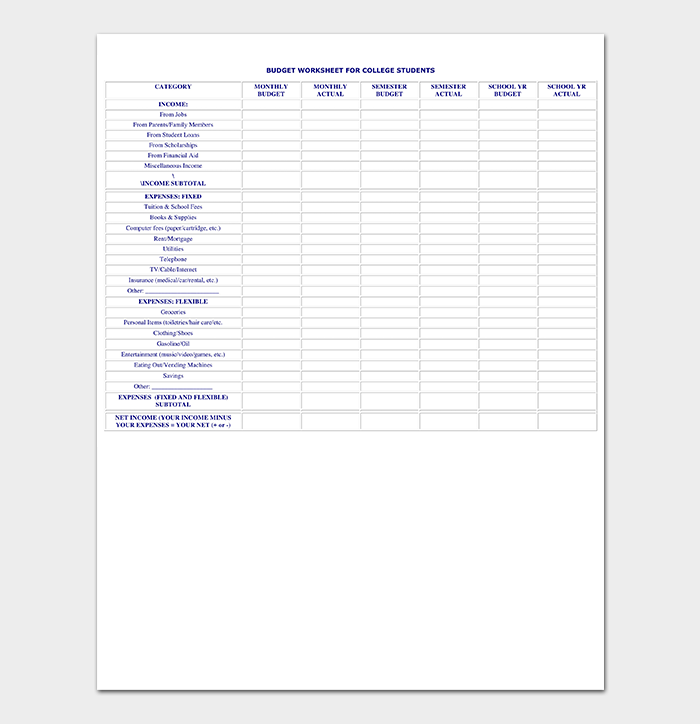 It lists all types of different expenses and income in detailed manner so that a quick review can help find the areas of improvement. 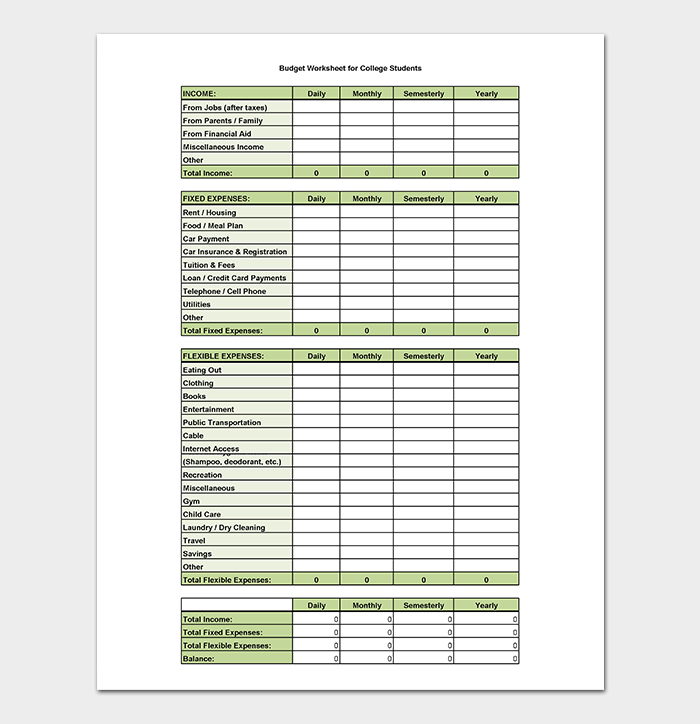 It also prioritizes the focus areas where corrective actions must be taken. 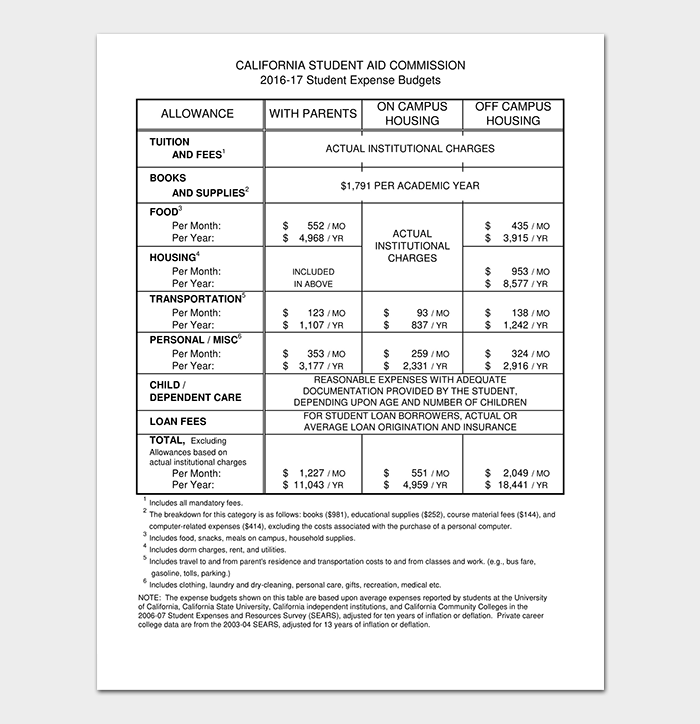 It acts as a quick fix and saves time for the college student. 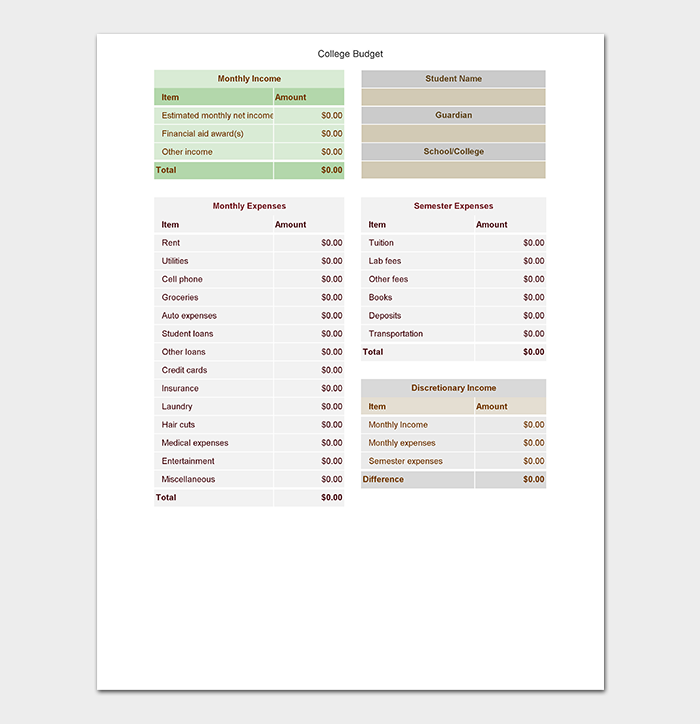 Ensures overspending is avoided and controlled at all times. 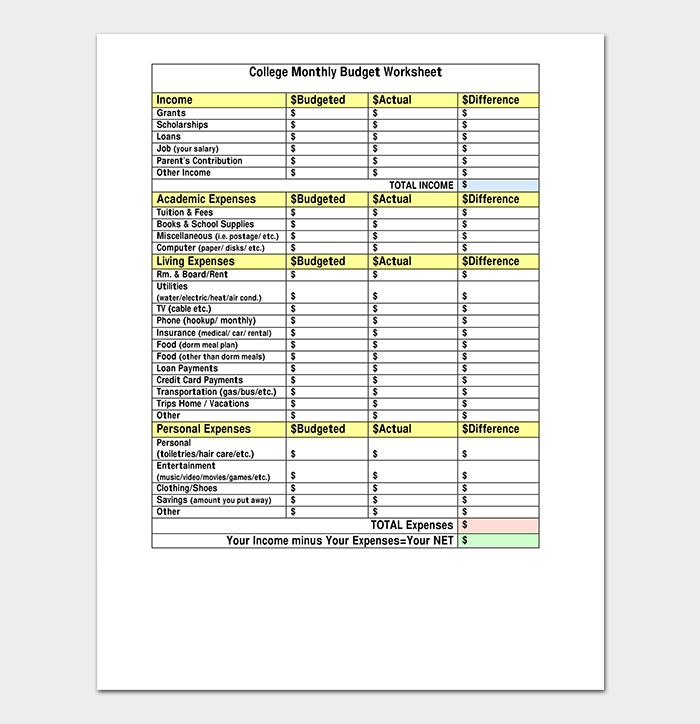 College student budget is a way to review the balance between amount spent and earned during the college time. 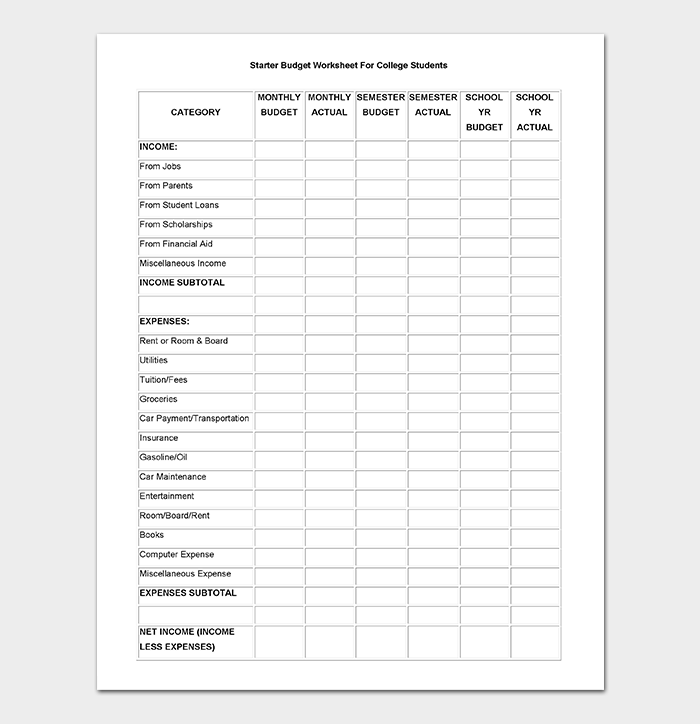 It helps to take the corrective action if the budget is imbalanced. 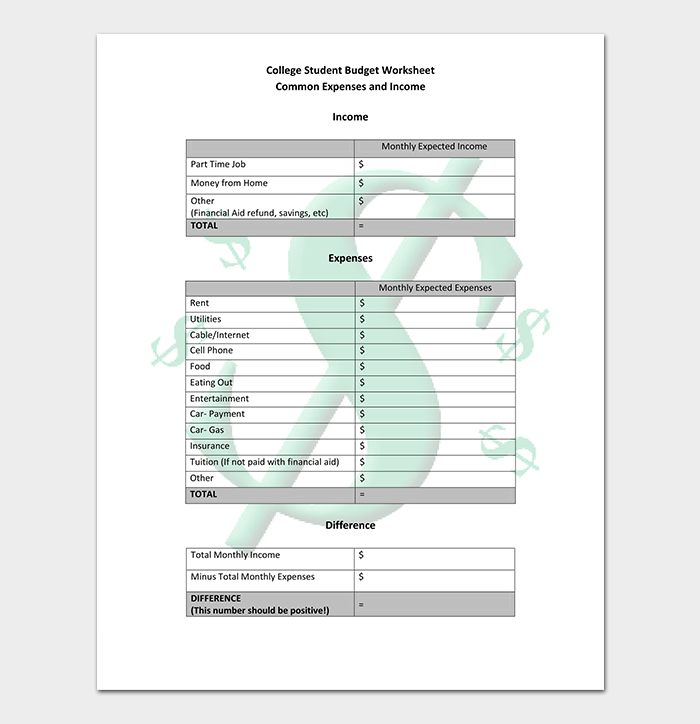 Students need to reduce the expenses if there is no way to increase the income to maintain the optimum balance in the budget. 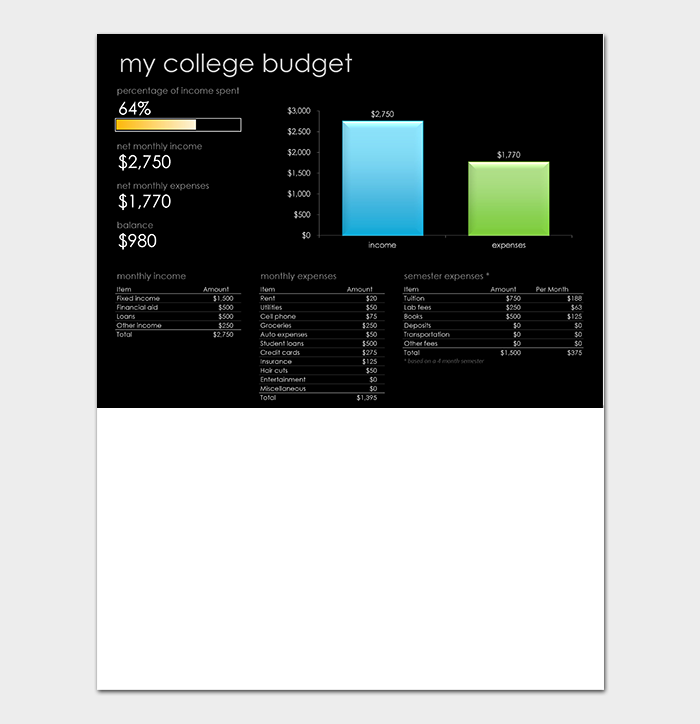 It helps to avoid disrupting the financial planning of the student and his family. There are a lot of usefulness derived from the above mentioned. 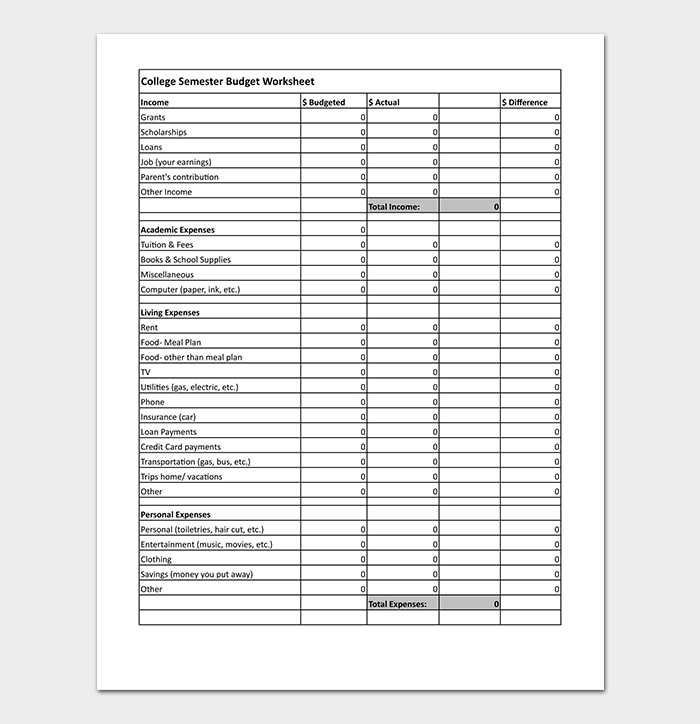 A student will be able to learn on the importance of maintaining a budget. 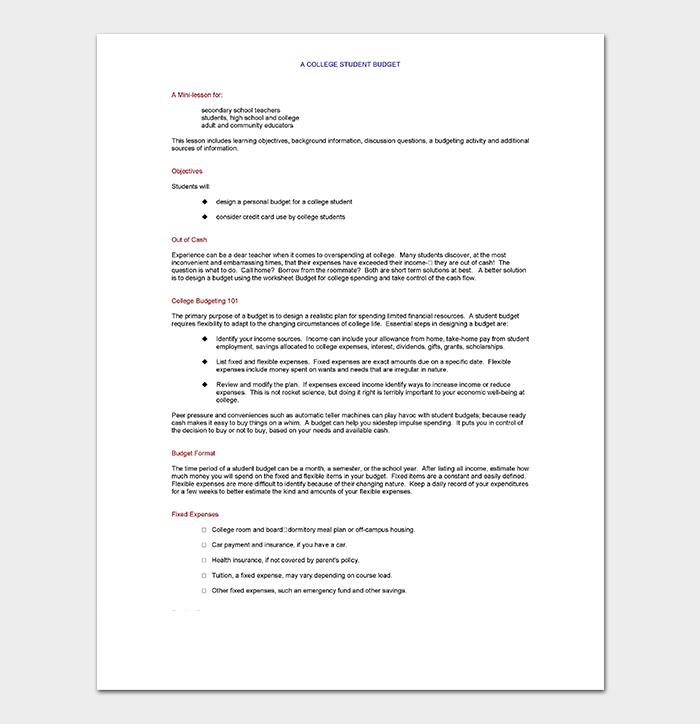 Serving a guiding tool for corrections to be made by highlighting the focus areas. 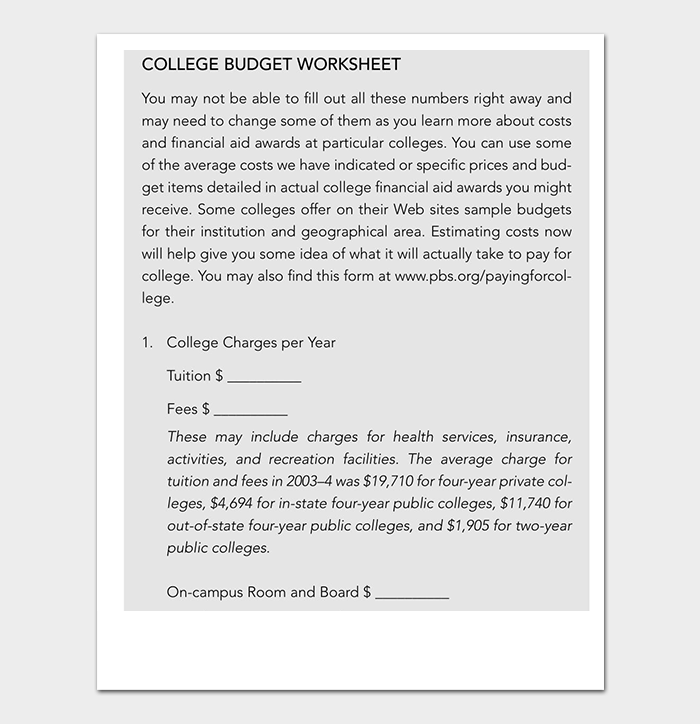 They also give out tips to manage the budget keeping, to the financial planning for the students. 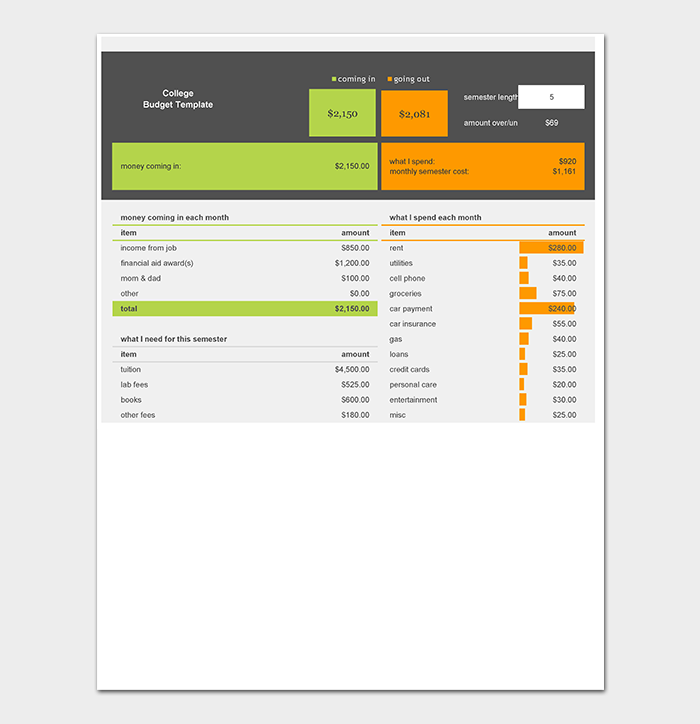 Last but not least, it keeps a check on over spending habits and helps instill good value of money.